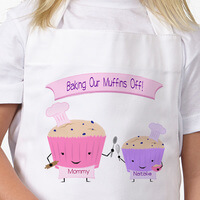 Our Baking With Mommy Personalized Apron is the perfect accessory for any budding chef who likes to spend time in the kitchen with mommy or grandma. 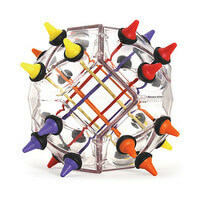 Not only is this outdoor kidâ€™s toy a spectacle of light, itâ€™s also a great exercise of your coordination and dexterity. The Poi dance traces all the way back to the Maori people in New Zealand. 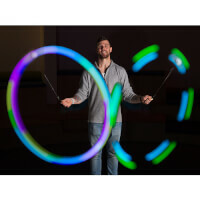 It involves swinging soft LED weights rhythmically to create geometric patterns. 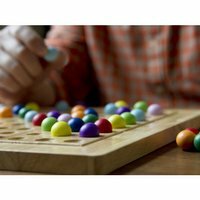 This version is lighter and brighter, which is great for beginners of all ages. Start with simple movements and as you try to master more complicated ones, youâ€™ll build flexibility and creativity. 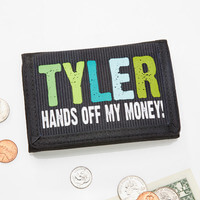 Helping the environment can be part of their daily routine with our reusable Hands Off! Personalized Water Bottle! 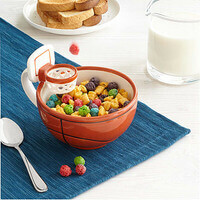 Can be used for any sporting activities as well as summer camp – anywhere they want to take a beverage with them. 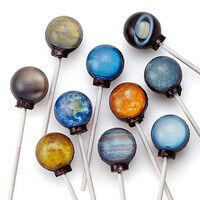 Here's a home accessory so delectably adorable you'll be glad that you can't eat him! 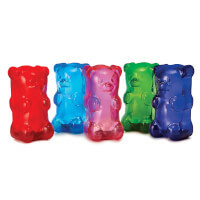 During the day, this cute, rubbery bear will take the boredom out of any room and at night, with a squeeze of his belly, a built-in LED light will provide sweet splashes of ambient colored light. Designed in Brooklyn. Made in China. To charge, please use 2 AA batteries, not included, either regular or generic re-chargeable ones. 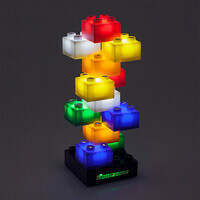 Light can also be powered by a 6 volt DC adapter, not included. 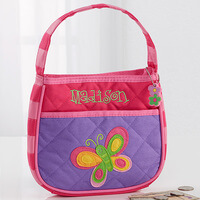 Girls Personalized Butterfly Purse & Butterfly..
Now she can be just like one of the big girls with her stylish Butterfly Embroidered Purse by Stephen Joseph. 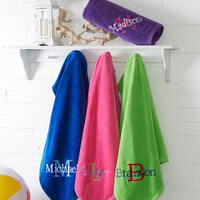 She will enjoy running errands in personalized style! 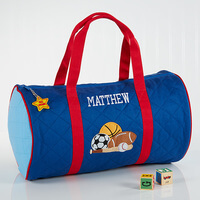 His name will be skillfully embroidered on our personalized duffel in your choice of 9 font options.Perfect for little one to use for a weekend getaway, trip to grandma's or even school use! Choose our personalized All-Star Duffel Bag for a one-of-a-kind gift your little traveler will be sure to love! 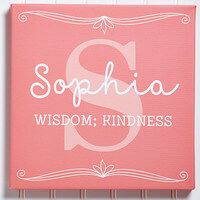 Our Keep Me Safe Personalized Wall Cross is the perfect blessing to hang in your child's room. 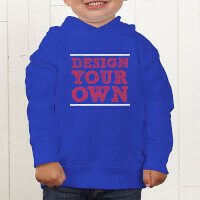 Design Your Own Personalized Toddler Sweatshirt..
Flip, slide, turn, connect, combine, build with Fat Brain’s newest construction toy! 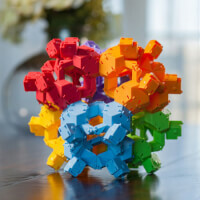 Clever, colorful turtles snap & slide together in over 100 incredible ways! Each set of 24 Reptangles comes with a full-color bonus activity book with 80+ puzzles to encourage young minds to explore the world of geometry, design & construction. Kids will enjoy hours of coloring and fun activities with our Super Fun Personalized Coloring Activity Book & Crayon Set. 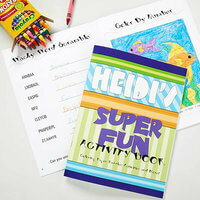 Activity book includes many pictures to color, as well as games, puzzles and mazes. 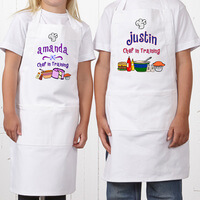 And every lil' chef needs an apron to protect their clothes while mixing up some fun. Can't compromise with a coworker? Reliving sibling rivalry on vacation? 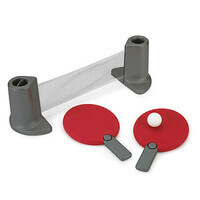 Ping-Pong: The perfect conflict resolution. Put an end to the back-and-forth over a smart game, fair and square--just keep this go-anywhere set handy. A portable, retractable net, adjustable paddles and two ping-pong balls comes in a drawstring pouch for easy travel and storage. Net expands up to six feet. Made in China. 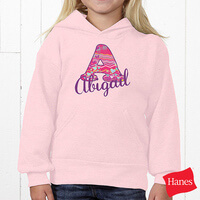 Personalized Kids Sweatshirt For Girls - Her..
Let your child feel extra special when she wears our Her Name Personalized Clothing. 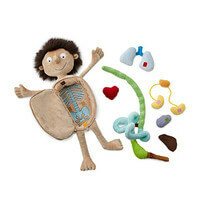 Finding gifts for kids is almost as fun as giving them. That's right, almost as fun. 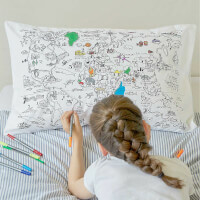 Shopping for kids can seem overwhelming with the sheer volume of quality gifts for kids out there, but at uGiftIdeas.com we have plenty of great gift ideas for kids to choose from. 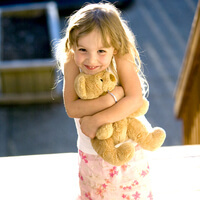 uGiftIdeas.com has gift ideas for children in every age group, and prices that fit every budget. For kids, birthdays are all about parties and gifts. 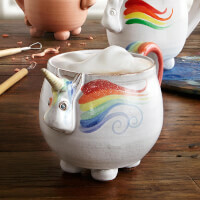 Make their day special with unique and creative birthday gift ideas for kids on uGiftIdeas.com. 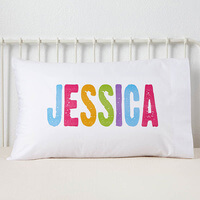 For those special birthday keepsakes from the family - parents, grandparents, uncles and aunts - you can find very special personalized gift ideas for kids on uGiftIdeas.com. For the littlest tykes, there's the Little Abstract Art Kit for kids ages 3-5, fine artist Jeremy Brown's bold take on art making at its most primal stage; with every stomp, wiggle, crawl and scoot your child's unique marks become abstract expressionist artwork. A blast for baby! For kids ages 4 and up, the Hot Wheels Wall Tracks complete system - on the wall racing action for your pint-size Mario Andretti. The stunt track comes up off the floor and takes its place on the wall, for exciting, eye-level action. The thrill-packed track features a 360 degree loop, diverter switch, flap ramp, bust-through wall, jump-through gates and more! 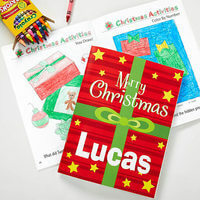 With plenty of gift ideas for boys ages 12 and under, uGiftIdeas.com offers gift buyers plenty of options, from nursery decor to board games, clothes for all ages and even a kid's book-of-the- month-club! There are also plenty of gift ideas for girls. For the little girls who likes to play hostess there's the charming Bunny Basket Tea Set, a gingham-lined white wicker basket with a teapot, sugar bowl and creamer, as well as plates, cups, saucers, spoons and forks. Baby bunnies and flowers make the set all the more special for little girls 3 and over who love to host tea parties. At uGiftIdeas.com. 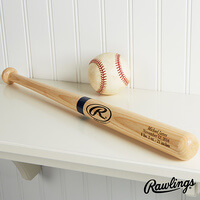 you'll find plenty of gift options for all the kids of all ages on your list.